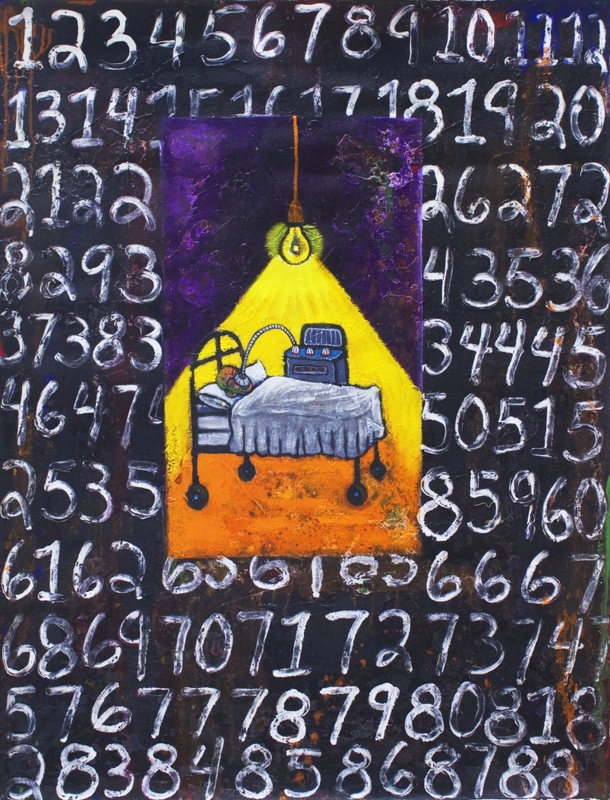 Luis Cruz Azaceta, AIDS Patient, 1989, Acrylic on canvas, 48 1/4 x 36 inches, © Luis Cruz Azaceta. Luis Cruz Azaceta will be featured in the upcoming exhibition Art after Stonewall, 1969-1989, at New York University's Grey Art Gallery and Leslie-Lohman Museum of Gay and Lesbian Art. Azaceta's AIDS Patient 1989 is included among over 200 works of art and related visual materials exploring the impact of the Lesbian, Gay, Bisexual, Transgender, and Queer (LGBTQ) liberation movement on visual culture. Art after Stonewall juxtaposes works—many of which elude categorization—and music with historical documents and images taken from magazines, newspapers, and television. The exhibition will be on view from April 24-July 20, and will travel to the Frost Museum of Art and the Columbus Museum of Art through 2020.